Project HONOR will aim to assist injured soldiers and their families. EA has announced a raft of charitable connections attached to its upcoming Medal of Honor: Warfighter. With the game's focus on special operations in mind, the developers have teamed up with a variety of real-life weapons manufacturers to help raise awareness and money to assist returning special operatives and their families. Named Project HONOR, the scheme aims to combine military realism in-game with real-world support for the Navy SEALs Foundation and the Special Operations Warrior Foundation. Several special operations weaponry and gear manufacturers whose products will appear in Medal of Honor: Warfighter have said that they will make charitable donations to the two foundations as part of Project HONOR. Other companies have also signed up to create and sell unique Medal of Honor-themed merchandise, with 100% of the proceeds going to the Project. "We have a tremendous amount of respect for our service men and women around the world and a deep level of gratitude for the sacrifices both they and their families make on a daily basis," said Greg Goodrich, Executive Producer of Medal of Honor, announcing the Project. 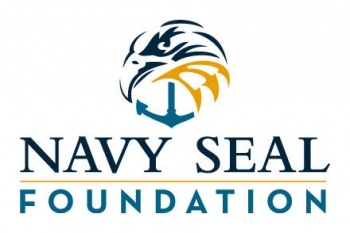 "We're excited to work with these great partners to launch Project HONOR to raise awareness for the Navy SEAL Foundation and the Special Operations Warrior Foundation and drive real world contributions of which we can be proud." John T. Carney, Jr., President of the Special Operations Warrior Foundation, added that, "This partnership with EA and Medal of Honor will raise awareness on the work we do to help the families of fallen Special Operations warriors and facilitate contributions that help provide college scholarships for surviving children and financial assistance to families of severely wounded special operations warriors...This is a great way to give back to some of our country's greatest warriors." In addition to this charitable drive, Danger Close Games also annouced an exclusive version of Warfighter designed for active, reserve, and former military personnel. While the ways players will be able to donate and find out more about charities for servicemen and women in-game are yet to be completely clarified (aside from the inclusion of a special Project HONOR camouflage pattern), Project HONOR seems like a well-grounded drive towards paying homage to the world's real special operatives. The websites of both the Navy SEALs Foundation and the Special Operations Warrior Foundation are filled with incredible examples of the work they both do and ways you can lend a hand; if you've got five minutes, drop by. Medal of Honor: Warfighter is due for release on the 23rd of October 2012.